One of the best ways to personalize your creations with lettering. Lettering, monogramming, customization and appliqué functionality for all skill levels. Expand your options for creating custom embroidery with BES® Embroidery Lettering Software 3! If you loved BES® 2, you’ll be sure to fall in love all over again with all the great new features and enhancements in BES®3. 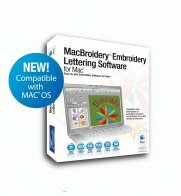 This affordable, feature-rich program is perfect for any embroidery enthusiast, from a beginner to an advanced user. In no time at all, you can design and edit beautiful lettering, classic monograms, appliqués, border designs, and more! 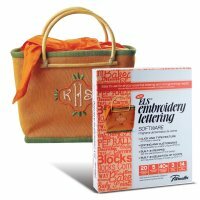 With so much to offer, this program is sure to become a part of your everyday embroidery routine. Built-in selection of hoops in sizes up to 5"x7"